Without seeking permission, a small group of defiant armed men seized control of coveted property in Oregon. They weren’t welcomed by local residents, some of whom petitioned the government to evict the intruders from federally administered land. Rather than sending in the troops to uproot the uninvited settlers, the U.S. government told the local residents to accommodate them even as they put up fences and started to run cattle on the land they had seized. This destroyed the local agricultural balance, leaving many of the locals near starvation. Hunger can drive a man to do desperate things, especially when its effects are visible in the faces of his children. Driven beyond forbearance, many of the locals resorted to violence. Although federal authorities were unimpressed by the pleas of starving people, they acted with alacrity to put down what they considered an armed insurrection, driving the locals from the scene and conferring title to the land on those who had occupied it illegally. This is how the Paiutes were evicted from what is now Harney County, Oregon, the 10,000-square-mile territory that serves as backdrop to the ongoing occupation of vacant federal buildings by a small group calling itselfCitizens for Constitutional Freedom. 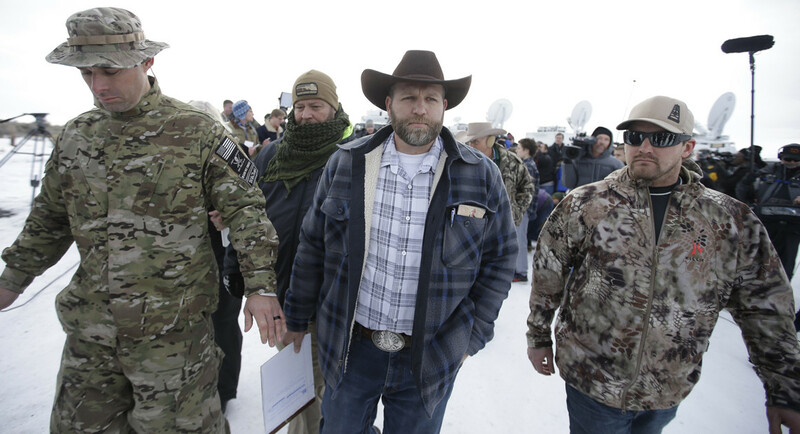 Led by Ammon and Ryan Bundy, the armed group seized control of the small cluster of buildings on the Malheur National Wildlife Refuge outside of Burns. They resolve to stay there until the federal government relinquishes control over the land to the county. The CCF’s defiance of federal “authority” – which thus far has not involved violence -- has been denounced as “trespassing,” “terrorism,” and “treason.” Yet the original white settlement of the county was done illegally. In that instance, the Feds made common cause with law-breakers (and, if you will, terrorists) to dispossess the uncooperative Paiutes, who had been promised the land as part of a peace agreement. 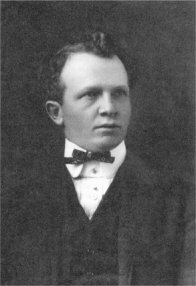 Harney County was named after General William S. Harney, who rose to prominence during a punitive expedition in the 1850s to “chastise” restive Sioux for organizing armed resistance against white encroachment on lands supposedly guaranteed to them by treaty. In the 1860s, the outpost named after the general was established not far (in relative terms) from present-day Burns. 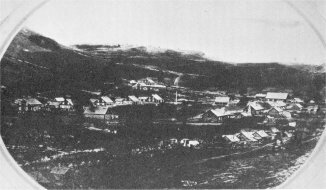 Camp Harney at the time of the original land-grab. One federal objective in the Snake War was to break the resistance of the Paiutes and confine them in a reservation. As originally constituted in 1872, the Malheur Reservation encompassed some 1,778,560 acres of land supposedly set aside for the use of nomadic Indian bands who had lived in the region since time immemorial. An official named Samuel Parrish was appointed as Indian Agent in 1873, and he endeared himself to the Paiutes by treating them respectfully and dealing with them equitably. His replacement, Harrison Linville, was a more typical bureaucratic specimen, padding his requisitions and charging extortionate prices for rations which the Indians had been promised during peace negotiations. During Linville’s tenure, records a Paiute tribal history, “stockmen and ranchers were pressuring the government to turn over reservation lands for settlement and grazing of cattle. They were not even waiting for a federal mandate but began to run their livestock and even build ranch homes on the reservation.” Contention over the area near Fort Harney was especially acute: The Paiutes gathered camas roots – a staple of their diet -- in the fertile valley. The arrival of cattle made this impossible. Rather than treating those ranchers as terrorists or subversives for unlawfully seizing land held in trust by the federal government, the administration of President U.S. Grant simply ratified the illegal seizures. In 1876, President Grant “ordered the northern shores of Malheur Lake open for settlement,” thereby cutting off another important harvest area from the Paiutes. Compounding the injury with an insult, Grant appointed William Rinehart, a veteran of the Snake War, as the Indian Agent. During the war, Rinehart had made himself notorious for advocating the utter extermination of the Paiutes. 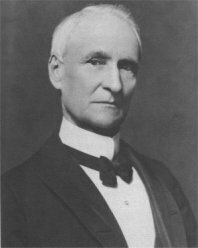 He also opposed the relative leniency displayed in the peace terms proposed by General George S. Crook. What Rinehart didn’t explain was that the Paiutes were expected to work, but not to make a living, because he intended to follow General Sherman’s infamous dictum that the only “good” Indians were those no longer found among the living. As Indian Agent in the Malheur Reservation, Rinehart continued his effort to consign the Paiutes to oblivion, choking off their rations and allowing white settlers to invade Paiute lands at will. In her memoirs, the redoubtable Sarah Winnemucca recorded routine incidents of abuse under Rinehart’s administration, such as arresting a Paiute boy named Johnny and threatening him with summary execution for stealing beef to feed his starving family. On another occasion, one of Rinehart’s agents beat a small, old, emaciated Paiute “almost to death for no good reason,” Sarah recalled. Paiute Chief Egan confronted Rinehart in a bid to stave off extinction. Within a few years, the Paiutes joined in the regional uprising called the Bannock War. After putting down the Indian insurgency, the victorious Feds rounded up every Paiute they could find for transport to Washington’s Yakima reservation. Those who evaded federal custody melted into the hills throughout the ION (Idaho Oregon Nevada) region. 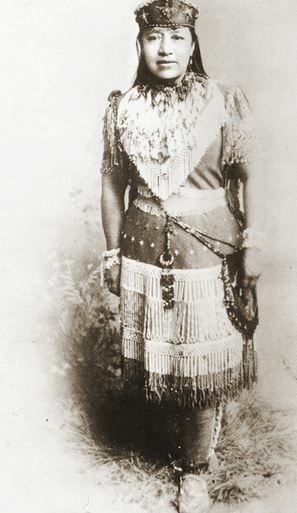 General Crook, the U.S Army’s most accomplished Indian fighter, candidly admitted that the Bannock War was provoked by the government he had served with such distinction. Then, as now, the government-aligned media was less conciliatory than some military leaders, demanding nothing other than the annihilation of radicals and militants unwilling to submit to “authority.” “It was not the want of food which started them upon the warpath, but their savage thirst for blood, which had not been restrained and prevented by proper discipline and Governmental supervision,” sneered the war-crazed editor of the Idaho Statesman. There are distant echoes of that attitude among left-leaning commentators who have described the CCF stand-off as a confrontation with domestic terrorists who should be regarded as little better than drone bait. The FBI – architects of slaughter at Ruby Ridge and Waco, and the chief choreographer for “homeland security theater” operations involving spurious terrorism plots – is preparing criminal charges against at least five members of the group. For their part, the CCF is well-entrenched and resolved to remain where they are until the Feds yield control of the land back to the locals. While their means have prompted widespread criticism, the CCF’s cause is one that resonates with rural westerners, including at least some of the ranchers who live nearby, and have seen many of their neighbors and colleagues driven away by the Feds. Ranchers and others living on federally administered lands haven’t yet been confronted with the grim alternatives described by General Crook – “warpath or starvation” – but the engineered destruction of their livelihood is encouraging a healthy and understandable militancy among many of them. During my visit to the scene of the stand-off the CCF was in discussion with some of the local ranchers who had provided them with food and other material support. There seems to have been a curious timing to this, which started in front of King Barack's unconstitutional executive action against the civilian ownership of firearms. Could we be seeing a false flag in the works? Walking down the long driveway to the "occupied" administration building yesterday I commented to another reporter that "there is a `Wounded Knee' flavor to all of this." The Wounded Knee standoff wasn't a false flag, but it was infiltrated by the FBI, and it gave rise to a mopping-up operation against the AIM in which several were killed, and others set up for dubious convictions. I don't think the FBI staged this incident, but the Feds might well capitalize on it. This stand-off was designed to fail, because it is a government operation, on both sides. The objective is total control of all property in the United States in accordance with the UN's Agenda 21 objectives, such as "sustainable development" which when boiled down is nothing but the end of private property. One way or another, the Bundy's got roped in to this either by the agents provocateur from the Bundy Ranch Stand-Off, or by direct threats to cooperate in this psyop. The militias that were at the Bundy Ranch identified these agents provocateur and outed them to the Bundys. What surprised everyone in the militias was that the Bundy's picked these very same trouble makers as their personal security on the Ranch. And now, guess who are the ring-leaders in this Oregon stand-off? Yep, the very same provocateurs that were at the Bundy Ranch. Specifically, Brian Cavalier, the personal bodyguard to Ammon Bundy, a tattoo artist who falsely claimed that he served in both Iraq and Afghanistan yet the US Marine Corps has no record of his service. He also has a long rap sheet of DUI's and theft. Blaine Cooper aka Stanley Blaine Hicks (a convicted felon, claimed to be a marine and later found out that he never was), and Ryan Payne (who also claimed falsely during the Bundy Ranch standoff that he was an Army Ranger and who worked diligently to cause divisions between involved parties on the ground) and Jon Ritzheimer, a former marine truck driver and known radical agitator. All of these gentlemen have histories that make them prime targets for recruitment as police informants, very likely for the ATF and FBI. Further, none of the militias that were at the protest were told of Ammon Bundy's real objective, of taking over the wild-life office. And they are angry that Bundy kept this secret because, had they known, they never would have showed up for the protest, not wanting to be tied to such an ill-conceived plan or even possibly a trap. Thanks to the wisdom and leadership of Stewart Rhodes, the founder and leader of Oathkeepers, Oathkeepers didn't even support the protest. While most Oathkeepers and militia groups feel that the Hammond's were unjustly terrorized by the Federal government, they were also rightly concerned about the people that Ammon Bundy surrounds himself with - birds of a feather, and all that. So the real reason this stand-off is doomed to fail is that it was designed to fail from the beginning, by the very people that took over the wild-life refuge offices. Why would they do this? To put all the western ranchers in such a bad light, that no one would support them in any future government land-grabs, and discredit the militia movement at the same time. So yeah, America, you've been had. Another government psyop with the full cooperation of the media. Get a grip. I've had paranoid schizophrenic patients with a better grip on reality. I think it will work out fine if the Bundys don't take any bait toward violence. If they stay non-violent, the feds will either look ineffectual or they will be forced to become violent themselves which will play against them in the media. MLKJ won the civil rights concessions by not becoming violent. Others who followed him harmed the movement with their violence. Similarly, Wounded Knee. My mom was a Wendat Indian and during Wounded Knee she kept saying "this is going to hurt us". Dad explained that the violence just made Indians look like the stereotype white people thought we were. So the Bundys keep it calm and they win, but if the Bundys allow themselves to be tricked into firing the first shot, they will lose the moral argument and end the conversation over western lands for a generation. What an unmitigated pile of bullsh*t - you cannot compare a bunch of right wing ideologues bent on stealing land with native American tribes who were driven from the land by EXACTLY the same folks who are now trying to take over the same land. This is like equating the loss of stolen land by force with the gain of stolen land by force. The only true losers in this melee are the native American tribes who were driven off by violence and the current American citizens who now see a crew of armed vigilantes doing the same thing that the early settlers did to the "indians". So we are supposed to believe that a group of well off ranchers and their loony militamen are today's "native Americans?" "Pleeze!!!" The settlers who invaded Paiute lands (with the support and encouragement of the Feds) in the 19th century have long since departed, so neither they nor the Paiutes are "EXACTLY the same folks" who were the aggressors and victims, respectively, in those events. There is only one entity here that inherits the guilt of those events -- the United States Federal Government, which steals from people of all backgrounds in remarkably even-handed fashion. WarriorClass III, I think your final point could be true regardless of whether there's COINTELPRO-like infiltration of the group. The people you named and profiled could easily just be dimwits, not plants. Of course, this is the age old question (as radio host Scott Horton often says), "Stupidty or the Plan?" Are these people simply shortsighted and lacking in strategic vision? Or are they deliberately implementing bad ideas so as to steer a potential threat (the ranchers) into impotency? Either way, it looks like that will be the outcome. They may have inadvertently given the Feds all the rope needed to hang them. I love all of the "Monday Morning Quarterbacking". These guys took the land back from the scumbags in Washington. What exactly have any of you people done besides run your pie-holes?